If you are considering buying a home with a pool, although having this added feature is fun it also comes with a lot of responsibility. When you go to hire an inspector, it is important to note that you do have a pool that will also be a part of the inspection. It is vital that they are familiar with pumps, filters, and heaters of a pool. Here are a few different aspects of the inspection that your professional inspector will be looking at. The point of the inspection is to ensure that the pool complies with local safety regulations which are not the same in all states. It is important to be aware of necessities every pool needs such as a fence. Each pool needs to have a fence around it to protect children, animals, and people from falling in. Be sure that you have the correct protective fence around your swimming pool. Whether your pool’s liner is plaster or tile, you have to be sure there is nothing wrong with it. There are different ways to look out of issues for each. Tile is fairly simple to find an issue with. If the grout, mortar, or paste between each tile isn’t completely surrounding each tile, then it is not in good condition. It is important to look for any chips to corners because you do not want loose tiles falling off or injuring anyone in the pool. Plaster is often what is used for inground pools as the finish. 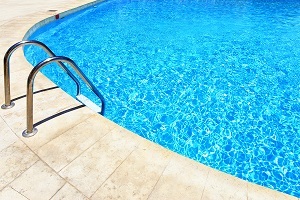 If your finished pool has stains, streaks, discoloration, or rough areas then it needs to be fixed. There are some cheap and easy ways to repair stained finishes, whereas some are more extensive and expensive because you have to drain the pool. All pools have to have a filter, pump, some have heaters, and other features such as lighting. If your pool’s filter is not in the best condition, then it is not cleaning the pool. You need to know if all of these are working, how old they are, to be sure your pool will stay up to code. After the inspector takes a thorough look at your swimming pool, you could be instructed to purchase new equipment. Another place that the inspector will note is your backyard if you have an inground pool. There are certain areas that will have to have more attention such as gutters. If your gutters are in a position where they empty on the ground below, it could overflow into your pool. The inspector will also point out trees surrounding your pool and if they will block sunlight or shed leaves into your pool. They can also tell where the wind is often coming from so you can tell how often debris will end up in your pool.